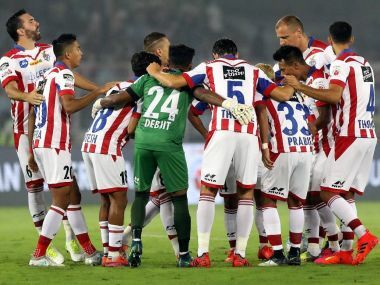 Kolkata: Smarting from a hat-trick of losses in their worst season ever, two-time champions ATK will be up against title favourites Bengaluru FC in their return leg Indian Super League football clash at the Saltlake Stadium. 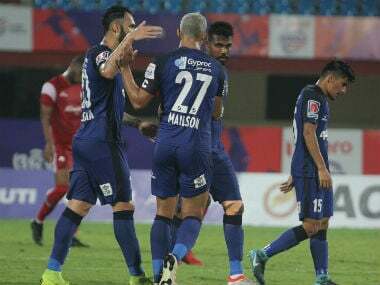 Nothing is going in favour of the home side at the moment as their hope to make the last four is all but over after they went down to Jamshedpur FC 0-1 in their previous game. ATK suffered their sixth loss from 12 matches this season and they are on 12 points with six matches left. They have secured only three wins to languish at the eighth spot in the 10-team league standings. Having come on board from the I-League, Bengaluru FC have lived up to the expectations in their maiden tryst with the ISL. They are a side to beat in the ISL with eight wins from 12 matches to lead the table with 24 points. For Bengaluru, it will be a match to add to ATK's misery and stay clear of Chennaiyin FC who are on second place with 23 points. Well aware that they have been virtually eliminated from the play-off race, the defending champions on the other hand will look to secure a consolation win and avenge their first leg defeat by a solitary goal. On paper, Bengaluru FC may be clear favourites but in reality the Blues will be wary against a team which is currently coached by their former gaffer who made the JSW- owned side from scratch in Indian football's one of the most- talked about success stories. Ashley Westwood, who has been elevated to interim coach after the ouster of Teddy Sheringham, is a name synonymous with the making of Bengaluru FC during his successful association as head coach from 2014 to 2016 when they won two I-League titles and narrowly missed a third after being pipped by Mohun Bagan. It will be an emotional moment for Westwood to be at the forefront against his former side with the likes of Sunil Chhetri and Udanta Singh who flourished under his reign at Bengaluru FC. In such a scenario, Westwood, a former Manchester United academy graduate, will be looking for a point to prove against his former side and may go all out. Star Irishman Robbie Keane, who has returned after nursing an injury back home, may get into the side, something that will bolster the forward lineup. The Blues have reclaimed top spot after a narrow 2-1 win over NorthEast United FC at their home ground last week. 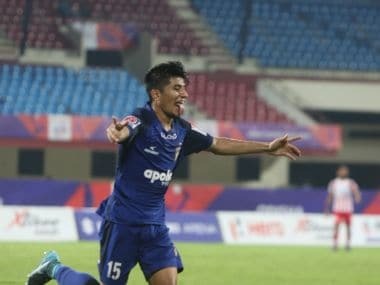 Skipper Chhetri scored the winner after Marcinho's penalty had cancelled out Juanan Antonio's 12th minute goal. The Indian captain will once again be a threat for ATK defenders. Bengaluru will be resuming their ISL campaign after a 3-0 win over Transport United in the AFC Cup preliminary round at home. A win for Bengaluru FC will take them closer to the last four stage and their Spaniard tactician Albert Roca has done his calculations. "We have six games to go, we need to win three of them at least. So that's the aim for us," Roca said.